Anna & Raven are racing towards the weekend this Thursday! If you missed any of today’s show, catch up with Anna & Raven now On Demand! The office has been hit with a mystery, there is a thief among us! Who steals the bread? What have you witnessed taken from your workplace? Deanna and Ian disagree on the validity of her adult allowance! Yup, despite being now forty three years old Deanna parents still provide her with a monthly two hundred dollar allowance. He says it makes him appear inadequate and wants her to put an end to it. Her response… are you nuts? What do you think about this, whose side are you on? With your calls and the verdict! 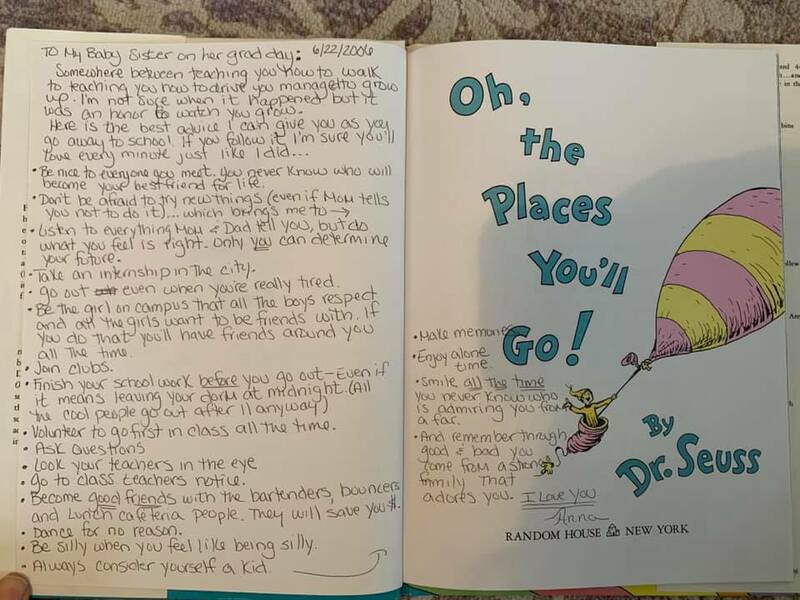 Reading from an old copy of Oh The Places You’ll Go Anna’s sister recently uncovered a letter accompanying the book Anna had gifted her sister upon leaving for college life thirteen years ago! Today we read the letter and see how well the guidelines have held up to time.